SavyGreenSaver! Who wouldn't want something amazing for dad, plus a bonus gift for mom? Mommy Moments with Abby sure would so we teamed up to be able to offer you this amazing Giveaway! It's swimsuit season and I was asked to test out a Voda Swimsuit plus offer you a giveaway for a suit of your own! First let's learn more about the product! Talk about a sweet deal! Who doesn't love a free game! Mommy Moments with Abby's Review: I love my fur babies and am always looking for fun new products for them. I was asked to check out the products on www.dogcollarsboutique.com. I went on since one of my fur babies needs a new collar and found a great deal on an awesome collar. Don't keep this giveaway a secret! We know you love Victoria's Secret! Free pass to museums and other family friendly places in Arizona! Free Blogger Sign up for Kristine's Shower Giveaway!!!!!!!!!!!!!! Guria Beachwear Guest Review and Giveaway! Bathing suite season is here! Time to start reviewing and giving them away at Mommy Moments with Abby!!!! I signed up to offer you a blog friend of mine's review of Guria's Beachwear and the chance to win a swimsuit for yourself!!!! Camp Wags and Route 249 5K Giveaway! 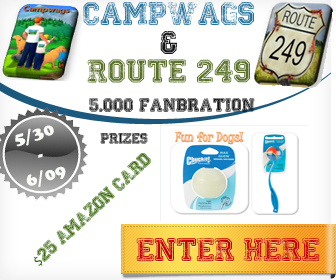 Welcome to the 5K Fanbration for Camp Wags and Route 249! I love my fur babies and love my blog friends so getting to offer this giveaway for you is even more awesome then normal for me!!!! Check it out! Dog Days of Summer Swimming Pool Giveaway!!! Dog Days of Summer Swimming Pool Giveaway! another AMAZING chance to win! Who wants to get wet and cool off this summer? How about have a pool party for the 4th of July around a new pool!? Sounds good to me so, I signed up to offer you this giveaway! Who doesn't love Snow White? The latest rendition of this story seems to take a different twist on the tail and I for one am excited to check it out! To spread the excitement I signed up to offer you this giveaway! A little makeup fit for a Queen to help you keep fairest of all and the novel to build your suspense for the movie!!!!! Enter to win!!!! Birders! Don't miss out on Owlwatch this Saturday! Birding families! Check out what is happening on Saturday! This Saturday, Desert Rivers Audubon OwlWatch coordinator Stacey Burleigh will lead a tour of the burrowing owl habitat at Zanjero Park, 3785 South Lindsay Road. Gilbert, AZ 85297, at 5:30pm. Meet us in the park parking lot. Check out this Cool event in AZ!!!! Check out this great event in Arizona! The Wildlife World Zoo and Aquarium located at 16501 W. Northern Ave, Litchfield Park is offering family four pack of screening tickets while supplies last!! Just go down on Saturday May 26 or Sunday May 27 between 9am-6pm to claim yours while supplies last! Plus you receive 1 free child entree for kids under 12 with each paid adult when you give the code MADAGASCAR!!!! The screening will be held Saturday June 2nd with special performances by the Circus School of AZ!!!!! 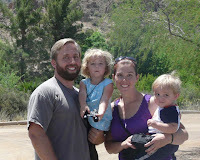 On May 20, 2012 we went back up to Boyce Thompson in search of more birds and to get the kids on a nice hike. We definitely weren't disappointed and the kids had a blast with the different sites, animals, and smells that Boyce Thompson provides. Check out our bird sightings from this trip! I apologize as it's a new camera and I'm still learning how to work it! We love to go find birds, hike, and let the kids explore the world around them. On May 6th we headed out and visited the Boyce Thompson Arboretum. We got a ton of sightings! I'm loving this new hobby of mine since it is the perfect family hobby, we get out, exercise, and the kids along with me learn something new each time! Okay Moms, it's time we gear up for pool season and the potential ear infection or swimmers ear. I have 2 little one's under 3 so finding a remedy that is safe for them is amazingly important. I managed to find two treatments for ear infections and one can also be used to help prevent swimmers ear in little ones under 3. They aren't 100% cures, but will help in the long run. Remember, I'm not a doctor,just a mom so consult a doctor before using these as I don't know your children or their bodies. I'm just offering these to you as something to ask your doctor about since they seem to help my kids. DonnasDealsAndMore has teamed up with Giveaway Scoop and an awesome group of bloggers to bring you an amazing giveaway! Have you seen Giveaway Scoop yet? They recently launched with the goal to make finding giveaways super fun and easy. Here’s the fun part: all giveaways are displayed in large image-based tiles for the “wow” factor. Plus, infinite scrolling lets you effortlessly scan through hundreds of active giveaways. And, the easy part is: all the giveaways are just one click away! Oh, and if you're a blogger, you can add all your giveaways to their site for free. I love to save money and as many of you know a store closing is the best way to save a few dollars!!! In Arizona we have two store closings going on right now if you are looking to upgrade or redecorate your home. One is in Mesa and the other is in Chandler. Mommy Moments with Abby loves learning tools and kids love games. I know that as parents my readers love things that combine both and was happy to get a chance to share a Guest review and the chance to win an awesome game and learning tool! 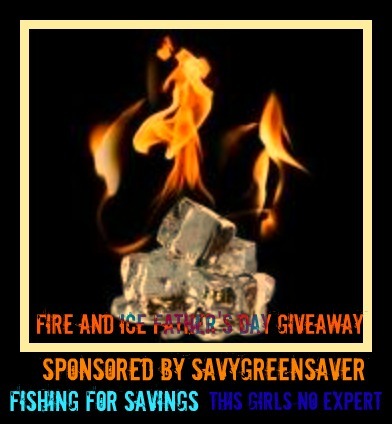 Check out what Powered by Mom had to say and then enter to win!!!! I have won a Juppy, am giving one away in the B's of Baby Giveaway, and have reviewed it. I just love this and have found a new use for it, I use it on hikes to help my 1 year old learn to walk the rough steep terrain! I'm glad to offer you another chance at one with my blog friends Review and Giveaway! Check out what she has to say of the product and then enter to win here and with the B's of Baby Giveaway! The BIG BACK TO SCHOOL BLAST Event Blogger Sign UP! Your readers will love this back to school prize pack! Check out the prizes and sign up to win! Make sure and tell them Mommy Moments with Abby sent you! Hey Bloggers! Here is an awesome giveaway to offer your readers! It's for a Coach Purse. Just fill out this document: https://docs.google.com/spreadsheet/embeddedform?formkey=dDNBQjloRWRXcmxyNXlRRW5rWGRrSkE6MQ, tell them Mommy Moments with Abby sent you, and post about the sign ups! Then, get ready for some happy readers, who wouldn't want a Coach Purse?!!!! The Giveaway runs from 6/14 to 6/30, so sign up now!!! AHHHHH! So, excited to be a part of a Disney Cruise Giveaway!!!! Mommy moments with Abby is happy to be able to be a part of this giveaway for you my readers/fans! So, Here's the moment we've all been waiting for! How to be a smart shopper for your graduate! It's graduation season and this means moms will be shopping in full force! Not only are you preparing for your child to either change grades or make the switch to college, but chances are your friends and your kids friends will be having graduation parties as well. The economy being what it is we must be frugal and smart in our shopping without scrimping on the necessities for our graduates. How do we do that? Let me offer this suggestion, use a promo code. On May 5, 2012 we took a trip to Mount Ord in search of birds and flowers. We found both! Check out the beautiful flowers we saw. While, I didn't get pictures of all the birds we saw I did manage to get a few! I know how much you love the Soda Stream Giveaways and my blog friend,The Frugal Fairy, has teamed up with Reclip.It to bring you a Soda Stream Giveaway! I love doing kids yoga. I make a point to do it with the kids 2-3 days a week and they seem to love it. I was very excited when asked to do a kid's yoga review. I post so much about the yoga poses the kids and I do, it's about time I offer up a review of Storyland Kids Yoga DVD. Sometimes when I really like a product and I hear of another blogger doing a review and giveaway for it, I ask if I can share it with my readers as well. Luckily for me Couponer's Corner has a review she did on PottyCovers and is sharing it and her giveaway with us. Check out what she had to say! I run a daycare and am always looking for products that I can use for all ages. Or at least most of the ages. I review products with the kids to see how they work and what the kids think of them. Some of them work out and I post about them, some don't and I don't waste your time. I was sent some learning cards to test on the kids for ages 1-5. Here is my Review of Child Up's Learning Card Games on numbers. Lately, when I blog about our hikes I talk about birds. They are so fun to hunt and find to try to get a picture of! Their constant flittering makes that picture ever so hard which increases the drive to snap one in me! This post is different. It is spring and Arizona is at its best. When you look out in the desert you see brown and green, then you look harder and see the most brilliant colors and flowers imaginable! Welcome to the Fan Appreciation Cash Giveaway! Mommy Moments with Abby loves to give away cash to her readers! Here is another great giveaway! I love to read and only wish I had more time to do it! Because I assume you are like me and love to read I love it when I can offer you and be a part of a good book Giveaway! Why not a whole set! I love to do reviews and love it when I can nab something cool for the hubby as well. I was asked to review this AMT tee and took the offer. Here are my thoughts on this t-shirt. We all feel the age on our faces as we deal with the stress's of being a mom. The constant cleaning up, outdoor exposure, stress, and million of other things we subject our faces too can take a toll. I'm always looking for products to help take back that age placed on my face so I don't look older than my age. I was asked to sample a product called éclos Skin Care which is made from Swiss apple plant stem cells. I have a kid who is getting ready for Kindergarten and needs to learn to tie his shoes. So, I accepted the request for a review on Loopeez. Most of us don't think of the skills outside of the ABC's when we prepare our kids for Kindergarten but kids need to learn to tie shoes among other things in order to make the transition smooth and avoid potential ridicule. So, here is my review of Loopeez. I am all for going green but when I got the request to review a Green Fry Pan, well I had to see this! I accepted the review and got the OrGREENic Ceramic Non-Stick Fry Pan. I looks just like any other Fry Pan only it is green instead of black. I wasn't convinced of the no stick and decided to really put this one through the ringer! Out comes, Pan Fried Barbecue Salmon!!!! I don't know about you, but my diaper bag is huge having 2 little ones and my phone is always finding its way to the bottom! I was asked to review a product to help solve this very issue. I chose black because it matches everything even though they have 8 colors to pick from and a chain model available in 4 weeks. I applied and then waited for this to come. Father's Day is coming up and with Mother's Day over it's time to start thinking about dad! I love personal touches to home decor and now that I have time to put a little more effort into decorating the home I've started doing more reviews on products that can help me do just that. The Vivadzi Photo Box is a review that I am happy to write!